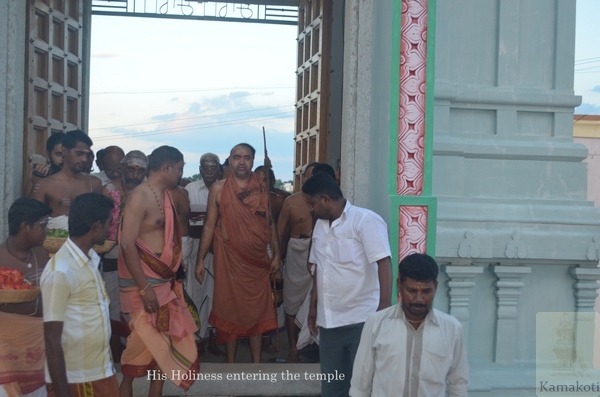 HH Pujyashri Shankara Vijayendra Saraswathi Shankaracharya Swamigal visited Sri Lokanayaki Sameta Bhuminatha Swamy Temple in Saidapettai, Arani today evening at 5.30 PM. His Holiness walked through the village to reach the temple. There was a Jain temple enroute. His Holiness stopped for a while in front of the temple and enquired about the number of Jain families residing in the locality and about their well-being. 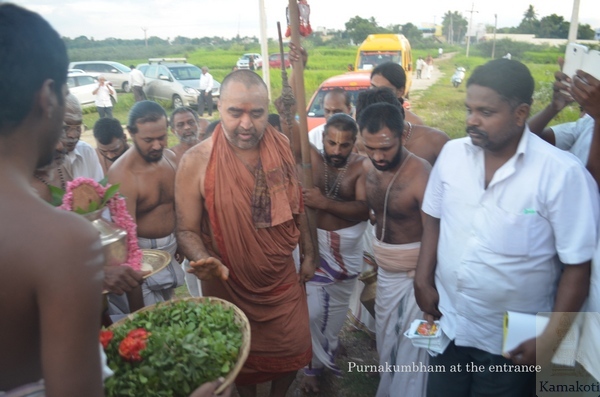 His Holiness then reached the temple and was received with Purnakumbham. 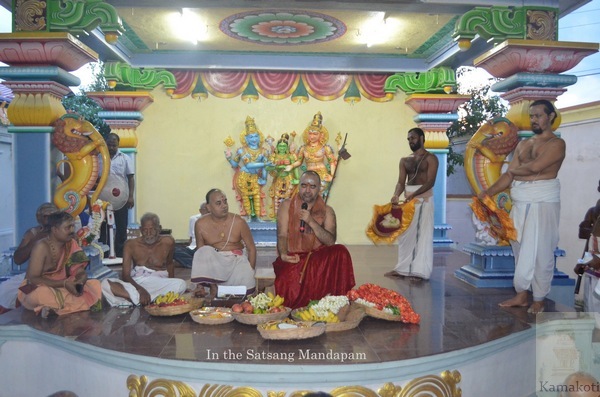 Special Harathi was performed at the various Sannidhis. 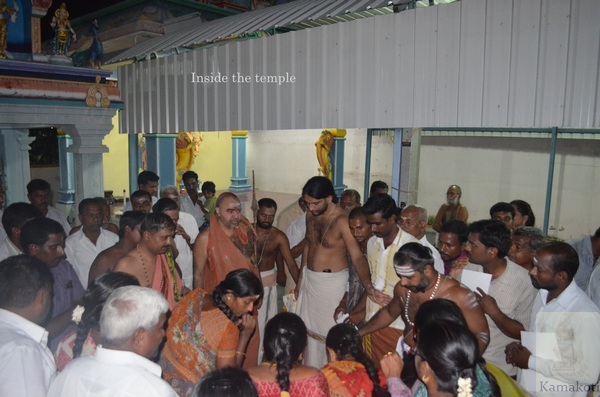 The people who built the temple recalled with enthusiasm that the Shivalinga in the Garbha Gruha was found underneath in a nearby site few years ago. 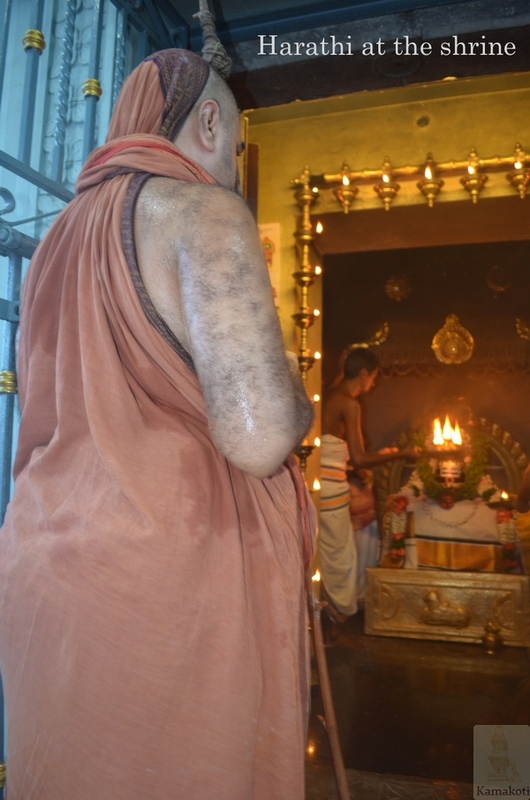 The people who wanted to build a temple for the Shivalinga took the blessings and guidance of HH Pujyashri Jayendra Saraswathi Shankaracharya Swamigal at Kanchi. Listening to them His Holiness Shri Periyava had in just a few minutes named the Shiva as Bhuminatha since it was found inside the earth and named Devi as Lokanayaki Ambal. 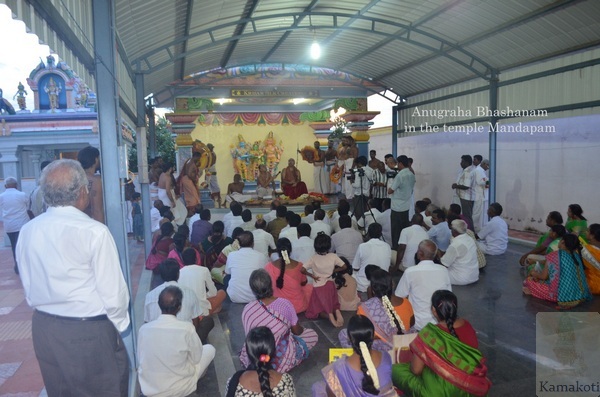 His Holiness blessed the gathring with Anugraha Bhashanam. His Holiness returned to camp at around 7.15 PM. After giving darshan to the devotees, His Holiness commenced the third Kala Puja at 9.30 PM.